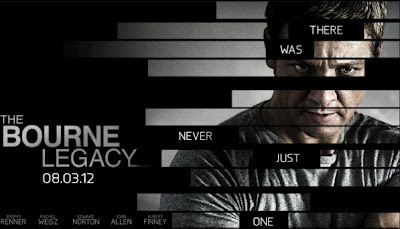 The theatrical trailer for The Bourne Legacy starring Jeremy Renner has been released. Dante Basco, who played Rufio in the 1991 Peter Pan quasi-sequel Hook, has revealed plans produce a prequel, which would tell the story of Rufio, how he got to Neverland, how he got his eccentric look, etc. The film, which will most likely be titled simply Rufio, will be an independent project that Basco will produce, but will not star in. 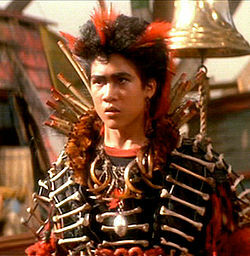 Rufio is one of the few characters in the Peter Pan universe who was completely made up for the film. Therefore, there's no set origin story that they'll have to follow. They're free to reinvent the character...again. Drinkbox Studios has announced that their game Guacamelee will be a PS3 and PS Vita exclusive game. id Software has announced Doom 3 "BFG Edition" -- which means every Doom game will be included. EVERY DOOM GAME! So, if you can't get enough Doom, this is a good way to satisfy your fill. Doom 3 is being repackaged and remastered with the "Resurrection of Evil" expansion and seven all-new levels, which id has billed them as "The Lost Mission." In addition to the new look on graphics, they also added trophies, achievements and 3D. A "new check point save system" has been added along with an all new "armor-mounted flashlight" feature. Are you excited for the "BFG Edition" for the PS3/360/PC? During their FanimeCon panel on Saturday, Viz representatives announced that they will be releasing Tiger & Bunny in North America sometime in early 2013. Viz announced previously that the first volume will be released in the UK on October 29 and the Tiger & Bunny film was being released on September 22, also in the UK. The sequel to The Hunger Games, Catching Fire, has a new title in the vein of the Twilight movies. The new movie will simply be called The Hunger Games: Catching Fire. Simple enough, I suppose. I assume the studio figures that Catching Fire is too vague of a title for the mainstream audience. 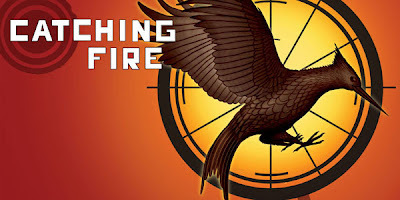 The Hunger Games: Catching Fire hits theaters November 2013. Atlus has revealed that they are developing Shin Megami Tensei 4 for Nintendo's 3DS. The last game, Shin Megami Tensei 3: Nocturne, was on Sony's Playstation 2. No details as to whether it's a first-person or third-person game. A North American release will happen but no release date has been announced. You looking forward to Shin Megami Tensei4 for the Nintendo 3DS? THQ announced today that Danny Bilson is leaving the company to pursue other interests and will be replaced by Naughty Dog's co-founder Jason Rubin. Rubin will be responsible “for all of THQ’s worldwide product development, marketing, and publishing operations.” He will report to THQ CEO and ChairmanBrian Farrell. Not only for being a co-founder of Naughty Dog, Rubin is also known as co-creator and director of Jak and Dexter and Crash Bandicoot. In the wake of THQ's recent financial troubles, other employment shifts were made including Jason Kay becoming Chief Strategy Officer and the departure of Dave Davis who was the Senior Vice President of Core Studios plus lots of layoffs. Gravity Rush, known as Gravity Daze in Japan, will make its debut as a downloadable demo on the Playstation Network. The game is one of the most anticipated games for the Playstation Vita. A futuristic world is under attack from unknown forces: So-called “gravity storms” have begun appearing in the sky, wreaking havoc while strange creatures terrorize the population. Amidst the mayhem, a young girl named Kat wakes up with a phenomenal new ability to control gravity. Europe will be able to try their luck on Gravity Rush a day later on May 30. If the demo suits you well, you can get the full retail version in North America on June 12. For those who have a PS Vita -- you excited for this game? Natsume made the announcement via Twitter that Harvest Moon: Land of Origin is being released in North America as Harvest Moon: A New Beginning for the Nintendo 3DS. The game will make its debut at E3. Harvest Moon: A New Beginning lets players customize more than previous Harvest Moon titles, with the ability to create either a male or female character, change their look and kick off a brand new farm from, well, the very beginning. Check out the video below to see what you can expect from the game. Are you excited for Harvest Moon: A New Beginning? The game, the first from two-person developer Clever Beans, will bring its unique cel-shaded glory to the PS3 and the PS Vita. The game will support online and cross-platform play. One cool thing about getting the game is that if you buy the game for one platform, you will get it for the other FOR FREE! The object of the game is tha you must maneuver a cluster of portly citizens, brought together in the way of an inexplicable, anachronistic viking invasion of 1970s England. The number of people in your crowd is an indicator of your speed, strength and health, and more bodies can lift larger and heavier objects. Check out the video below to see an example of the gameplay. Aniplex USA confirmed that it will be releasing the Bakemonogatari TV series this fall on Blu-Ray. The series originally aired in Japan in 2009. Atlus' Shin Megami Tensei: Devil Survivor game is getting a manga adaptation from WARASIBE and is debuting in July's issue of Monthly Shonen Sirius magazine. Suzuhito Yasuda is being credited for the original character designs but WARASIBE (Satoru Matsuba) is the getting main credit for the story and art. The survival story is set in Tokyo after it has been quarantined, due to demons infiltrating the portable game system COMP and attacking people. The story follows a group of young people who are caught in the battles. Shin Megami Tensei: Devil Survivor was released for the Nintendo DS in 2009 while its sequel Shin Megami Tensei: Devil Survivor 2 was released in Japan last July and in North America this past February. Sad news for Manga Entertainment. The anime company announced via twitter that it no longer has the U.S. rights for Yoshiaki Kawajiri's classic anime Ninja Scroll. For some, Ninja Scroll was a gateway to their love of anime. No information about if any other anime company will retain the rights for Ninja Scroll. Persona 4 The Animation's official website announced that the anime will be made into a 90 minute film with new footage. The film will be titled, Persona 4 The Animation - The Factor of Hope. It will open in 10 theatres in Japan including theatres in Kanto, Osaka and Nagoya, on June 9th. The film will recap everything in Persona 4 and will also include the so-called "True End Episode" which was originally unaired. No word on an American release whether it's a one-day limited screening OR a DVD/Blu-Ray release. An updated version of the classic Jet Set Radio will be released for the Playstation Vita this summer. It will be an adaptation that will closely resemble the Dreamcast game but with the graphics upgrade, touch screen functionality and camera integration on the Vita. The Vita version will be playable at this year's E3. Kentarou Miura's manga Berserk will be returning with a three-chapter run depicting Guts' childhood starting June 8th in Hakusensha's Young Animal magazine. The next Young Animal issue will come with a Berserk Premium DVD promoting the Berserk Golden Age film series with the second film Berserk Ōgon Jidai-Hen II: Doldrey Kōryaku (Berserk Golden Age Arc II: The Battle of Doldrey) opening in Japanese theatres on June 23. It has been announced that the high school edition of the manga K-ON will end in July's Houbunsha's Manga Time Kirara Carat magazine. The college edition will end in Manga Time Kirara's July issue as well. The high school edition of K-ON was about Azusa, Ui, Jun, and the other characters who are still in high school after the other characters graduated. Those "other" characters are Mio, Yui, Tsumugi and Ritsu. Sentai Filmworks licensed the 26 episode K-ON! !, the sequel to K-ON! which was licensed by Bandai Entertainment before they stopped releasing new titles, and the OVA as well. The company will begin releasing the series on DVD and Blu-ray Disc in North America on June 19. The K-ON!film will ship on Blu-ray and DVD in Japan on July 18. Funimation will be releasing Production I.G's Oblivion Island: Haruka and the Magic Mirror on DVD and Blu-Ray on August 14. The DVD will sell for $19.98 and the DVD/Blu-Ray combo pack for $24.98. Pre-orders start July 10. The story follows the adventure of 16-year-old Haruka and her quest to find her lost hand mirror given to her by her late mother. The film was directed by Shinsuke Sato, known for directing the Gantz live-action films. The film was animated in its entirety in 3D Computer Generated Imagery and was nominated for the Excellent Animation of the Year award at the 33rd Japan Academy Prize. Hatsune Miku fans get ready! A new, extended trailer for the Playstation 3 and Vita game Hatsune Miku Project Diva F brings a four minute look into the vocaloid doing her thing to BuriruP's "Secret Police" and Junky's "Melancholic". The Vita version is to be released on August 30th and the PS3 version is scheduled for sometime next year. Game DesignerHideo Kojima, most notable for making the Metal Gear Solid games, has announced he and his studio Kojima Productions are currently working on a new Zone of the Enders game. The project is currently under the name Enders Project. Other details on the game are very scarce but for Enders fans, this is exciting news! There are some concept photos for the game that have been released. Check them out below. The 30th and next chapter of namo's Baka to Test to Shōkanjū Spinout!, which is a spinoff of Kenji Inoue's Baka to Test to Shōkanjū light novel series in Famitsu Comic Clear, which is an online manga site that features free-to-read titles, will be its last. Spinout! recieved an anime adaptation in the form of shorts featured as bonus items on DVDs and Blu-Rays of Baka and Test - Summon the Beast 2 anime. Funimation released the first season of the anime in North America in 2011. The European section of Namco Bandai Games began to stream the second new promotional video for the Dragon Ball Z game for Xbox 360's Kinect. The promo demonstrated the fighting games Quick Response code feature that allows players to unlock some cool content like powerups and characters. Players get to control each characters every move through the Kinect's motion censor. The game will include 50 playable characters, 30 minutes of new anime video and more than 100 moves. The game will be released in North America and Europe this October. The new NSFW (not safe for work) trailer for the Maniac remake has been released. When news first broke that there was a Maniac remake in works, I was little bummed. The original 1980 cult classic is one of my all-time favorite guilty pleasures. I remember being young and seeing the VHS cover in Blockbuster and being too scared to rent it for that reason alone. Gintama the Movie is being released on May 29th but early copies have shipped out. This will be the first time Gintama is on Blu-Ray and the first time it includes an English Dub. Josh Trank, who directed Chronicle, a film about teens struggling with their nascent superpowers has agreed to develop Fumito Ueda and Team Ico's Shadow of the Colossus into a "big scale action film" for Sony Pictures. Once it's green-lit, he will be directing the film. Trank is also in line to develop a new Fantastic Four film, a Spiderman spinoff film about Venom and Red Star. Trank openly acknowledged Katsuhiro Otomo's classic anime film Akira as a big influence on his Chronicle. Would you be excited to see Shadow of the Colossus on the big-screen or would you rather it be left alone? Akira, who is a member of the 14 member Japanese pop group EXILE, is going to play the lead character in Onizuka. The original manga spawned a live action TV drama, an anime and a movie. The story of a gang-member-turned-teacher is one of the most popular stories to come around in manga and anime. Other casting news includes Miori Takimoto will play Azusa Fuyutsuki and Hitomi Kuroki is principal Sakurai Ryoko, while Yuu Shirota plays Ryuji Danma. Great Teacher Onizuka's live action TV show will premiere on Tuesday at 10pm in July on Fuji TV. Sega released details on their upcoming 5th entry to their Yakuza franchise. According to Famitsu, Yakuza 5 will be a direct sequel to Yakuza 4. Also, Yakuza 5 will take place in five cities: Sapporo, Nagoya, Tokyo, Fukuoka and Osaka and feature five playable characters: Kazuma Kiryu, Taiga Saejima, Shun Akiyama, Tatsuo Shinada and Haruka. The game is going to run a brand new system and it is 70% complete. Sega also confirmed that Mike Hayes, the Europe and USA CEO, will leave the company after 8 years running the Western side of the company. Yakuza has a small but loyal fanbase in the US and has always been a solid seller for Sega in the USA but prove to be an even bigger hit in Japan. The game will be released in Japan this December. Are you excited for Yakuza 5 for the PS3? Viz's and Tiger & Bunny's facebook pages have announced the English cast for the super hero anime Tiger & Bunny. and the illustrious John Eric Bentley as Fire Emblem, the utterly fabulous Nathan Seymour. Patrick Seitz was previously revealed as the voice of Sky High/Keith Goodman. Travis Willingham is also the voice of Antonio Lopez, AKA the Bull Tank of the West Coast, Rock Bison. Viz Media is expected to release the series late this year, but has yet to confirm actual release dates. This third person shooter has you and three comrades killing aliens to get your other comrade back alive and take the Nogari Corporation. The game is coming to Xbox Live Arcade, Playstation Network, PC and Mac this summer. Each character has their own motivations for doing the mission via detailed flashbacks which developer of the game Tragnarion says will influence the story greatly. The game is a part of Microsoft's annual Summer of Arcade and if the game is popular and fleshed out enough, it could get the promotion of a game disc release. Get your Hadoukens ready! The Street Fighter 25th anniversary collector's set is due to be released on September 18, 2012 for PS3 and Xbox 360 for $149.99. Tomba, the platformer which starred a pink haired caveman, will be released on the Playstation Network from MonkeyPaw Games. "Sony and MonkeyPaw have a good working relationship. I think they appreciate the titles we've brought to the Store. And they value the support we give the games. Having a plethora of Japanese content is a distinct advantage PlayStation has over Xbox. But the games still need to be brought Stateside. So our model helps Sony spread their Japanese edge and we help Japanese developers get their titles to a wider audience. Hence, Sony is willing to work with us on titles that may not have otherwise been licensed out. Support is key." Monkey Paw has been working hard to get the rights for Tomba. 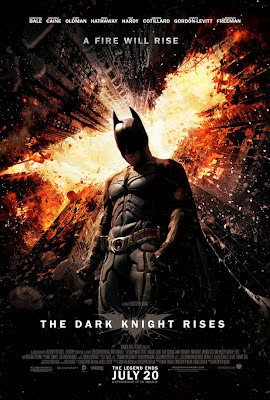 The new poster for The Dark Knight Rises has been released and it definitely follows the trend set by Batman Begins and The Dark Knight. The first Digimon game being released by Bandai Namco will be released on July 19. A new promotional video for Digimon World: Re:Digitize began streaming today. The four minute video includes the story for the game and gameplay. The protagonist is a 14-year-old boy who gets lost in the Digital World — the world where the data creatures known as Digimon live. Nicolai "Nico" Petrov is both a good friend to the protagonist and his rival whose Digimon is Mirage Gaogamon.Akiho Rindō is a cheerful and curious girl whose Digimon is the gentle Garudamon. The game will sell for about 5,230 yen (about $66). The anime adaptation of Onii-chan Dakedo Ai Sae Areba Kankei Nai yo ne (As Long as There’s Love, It Doesn’t Matter If He is My Brother, Right) has been announced. The title is shortened as Oniai, the original light novel was written by Daisuke Suzuki with illustrations by Gekka Uruu. The release date for the anime has not yet been announced and Silver Link will be behind the animation production. 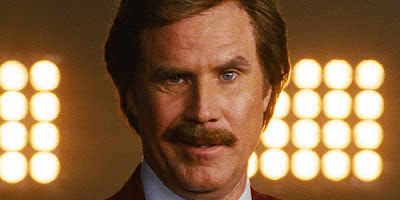 The teaser trailer for the highly anticipated sequel Anchorman: The Legend Continues has been released. Sentai Filmworks has acquired the rights to the anime Intrigue in the Bakumatsu ~ Irohanihoheto. The series' animation is produced by Sunrise, the anime is directed by Ryosuke Takahashi, character designs by Yusuke Kozaki and music by Hideyuki Fukasawa. Are you going to look out for Intrigue in the Bakumatsu ~ Irohanihoheto? Sony Online Entertainment has announced a Free-to-play team based shooter titled Bullet Run which will launch on the PC this Summer. Developed by ACONY Games, the game drops you into a reality TV show where you must fight to the death! You can't just kill someone, you have to kill someone in style. 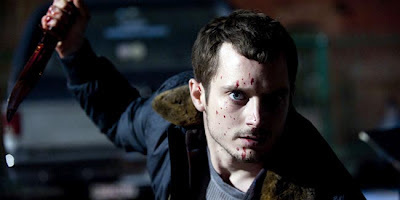 Other features include unique abilities for players to harness called Kill Skills. Examples offered include damage heals, berserker mode, enemy-trapping robots, aerial ammo attacks, and mini-guns. 20 players can fight to the death on six maps at the same time. Japanese rock band Dir en grey are streaming their movie, Dir en grey Uroboros at Budokan the Movie, on their UStream channel three times this weekend. The film was previously released in Japanese theatres which featured their performance at Nippon Budokan arena in January 2010. The film will be streaming May 26 at 11:00 p.m. EDT, and again on May 27 at 7:00 a.m. and 3:00 p.m. EDT. Dir en grey announced back in February that the band was taking a hiatus due to vocalist Kyo's health, which included cancelling their North American tour. Dir en grey did music for anime such as Baki the Grappler and Urayasu Tekkin Kazoku. 2K Games plans to launch the title on console and PC at the same time. The release date is October 9 and 13 in North America and internationally, respectively. Pre-orders of the game will receive the Elite Soldier Pack DLC, featuring a blonde, flattopped recruit inspired by the original XCOM. It also includes soldier deco packs for players to customize the look of their character with "complete color customization." The retail price for the game is set at $49.99. Between the events of Tron and Tron: Legacy, a young program named Beck becomes the unlikely apprentice to Tron, the greatest warrior the Grid has ever known. The very opening scene of Tron: Uprising makes it look like a feature film and the presentation is fantastic. A narration over the opening gives it that movie feel too. The script was written by Tron: Legacy writers Edward Kitsis & Adam Horovitz and they do a decent job of showcasing everything you need to know about what's going down for the next 10 episodes. The plot isn't anything to go "HOORAY!" over but it does serve it's basic purpose. Beck, voiced by Elijah Wood becomes a pupil to the master warrior Tron, voiced by the actual Tron from the films, Bruce Boxleitner, so he can defeat the evil General Tesler, voiced by the perfectly cast Lance Henriksen and the big boss Clu. It's a familar story but again, serves a purpose. The story won't win anyone out there. With the announcement of Deadman Wonderland being a part of the new Toonami lineup, the offical cast has also been announced. Here is the English language dubbed cast for Deadman Wonderland. Along with the classic shows like Cowboy Bebop and Ghost in the Shell, two new shows are joining the new Toonami lineup. Casshern Sins and Deadman Wonderland have been added to the new lineup that will premiere on May 26/27, 12-6am. Former Toonami producer, now Cartoon Network and Adult Swim's vice president of strategic marketing and promotions Jason DeMarco confirmed that these two shows are indeed a part of the new Toonami lineup via twitter. It will be interesting to see how these two shows fit in with the classic anime. Whether or not it stays like this, just knowing that Toonami is back is still cause for celebration. Let's hope nothing dramatic changes before the Toonami come back premiere. Namco Bandai revealed the next installment of the Tekken franchise, Tekken Tag Tournament 2, will be released September 11th in the US and September 14th in Europe. The upcoming Tekken game will include exclusive DLC characters, depending on where you pre-order from. For example, In the UK, pre-ordering at ShopTo unlocks Michelle Chang and Angel, while those who place an order with Zavvi before the September release will get Kunimitsu and Ancient Ogre. Also announced is the We are Tekken edition. It'll come in a metal case and contain the original soundtrack of the game, a remix CD, an art book and a behind the scenes video. Tekken Tag Tournament will be on Playstation 3 and Xbox 360.